ChemSusChem, 10, 7, 1303-1317, (2017). DOI: 10.1002/cssc.201601545. Graphical Art by Ella Marushchenko. Excess carbon dioxide (CO2) emissions and the inevitable consequences continuing to stimulate hard debate and awareness in both academic and public spaces, despite the clutter on understanding what really is needed to capture and store the unwanted CO2. Capture is the most costly, nearly 70 % of the price tag on the entire carbon capture and storage (CCS) operation. In this tutorial review, we describe and evaluate CO2 capture science and technology based on adsorbents in the context of chemistry and methods, after briefly introducing current status of CO2 emissions. 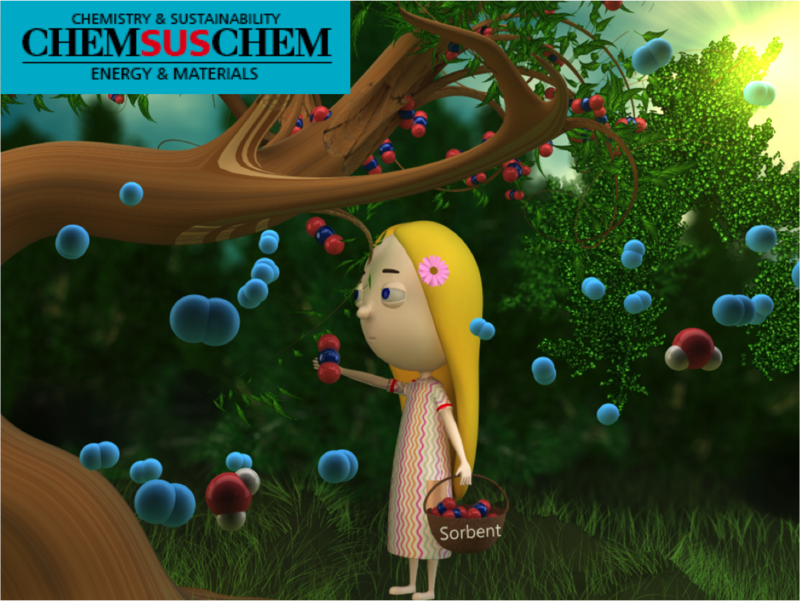 An effective sorbent design is suggested, where six checkpoints are expected to be met: cost, capacity, selectivity, stability, recyclability and fast kinetics.